In Belize, like elsewhere in the Caribbean, the queen conch is under threat due to over fishing. 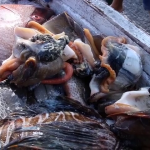 If you are a seafood lover, you will know that the queen conch is one of three seafood exports that fetch significant foreign exchange for the country. The conch season is underway from October first, 2018 to June thirtieth, 2019 and it is expected that more than eight hundred thousand pounds will be harvested for export to the international market. 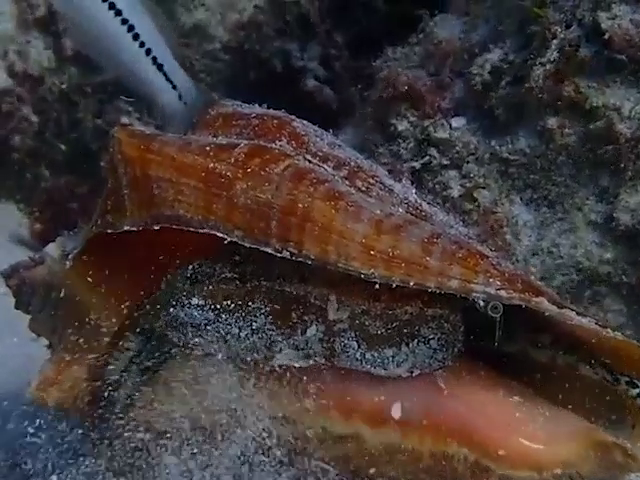 Now, Glover’s Reef provides the perfect habitat for the conch. 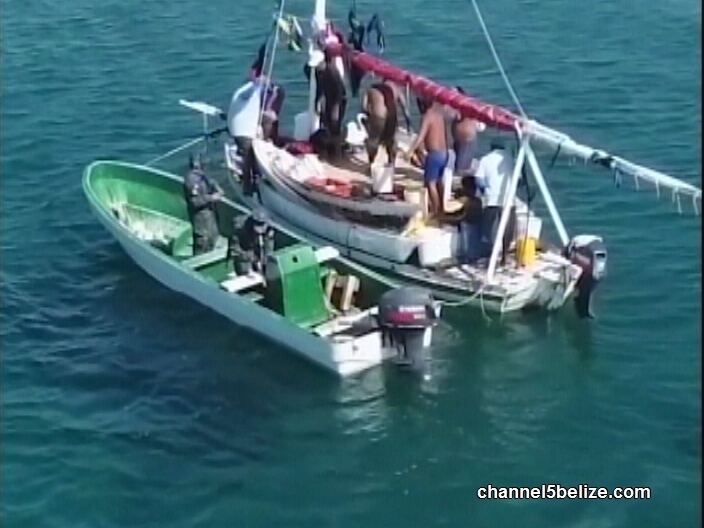 News Five’s Isani Cayetano headed out there recently for a first-hand look at what is taking place in respect of fisheries law enforcement. Tonight, we have Part One of a two-part investigative report. Here’s that story. It’s daybreak on Middle Caye, one of six sandy islands on a sunken ridge located near the southern edge of Glover’s Reef Atoll. The buttery sun radiates a tangerine hue across the morning sky, as it quickly begins to warm up this tiny landmass. A quartet of officers, including fisheries rangers and coastguard personnel, gathers beneath one of several wooden structures. A daily brief is convened and details of an upcoming patrol are being discussed amongst the team. This station overlooks Glover’s Reef Marine Reserve. Collectively, these coral islands form an oval shape. The depth of the encircled saltwater lagoon reveals one of the greatest variety of reef types on this side of the Caribbean, a flourishing ecosystem with hundreds of fish and other aquatic species. 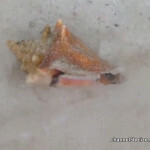 It is also an ideal habitat for the queen conch which typically resides in sea grass beds, large sandy plains with swaying grass, associated with coral reefs. 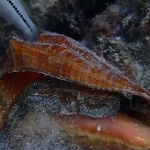 This species of edible sea snail is one of the largest invertebrates native to the Caribbean Sea. 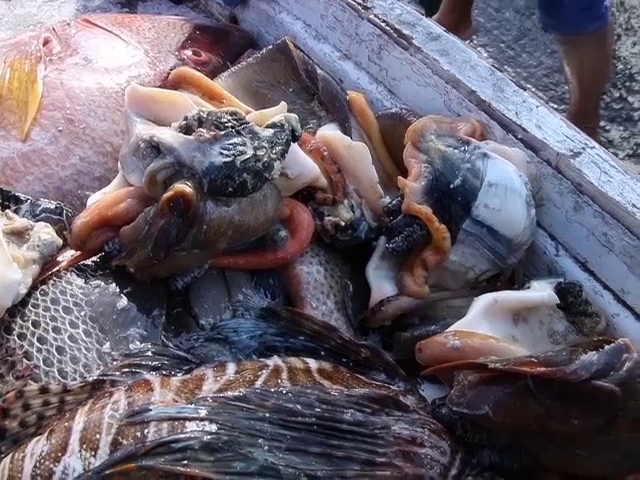 Its meat is a delicacy consumed in salads, chowders, fritters, soup and ceviche and as such remains in high demand on the local and international markets. 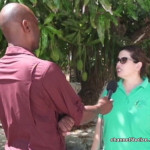 “You have the shoal and we have conchs eena di deep. We have the thin one, the thin shell one and yoh have the big, the butta conchs dehn and yoh have the big, thick shell one, the hard back, weh we call. 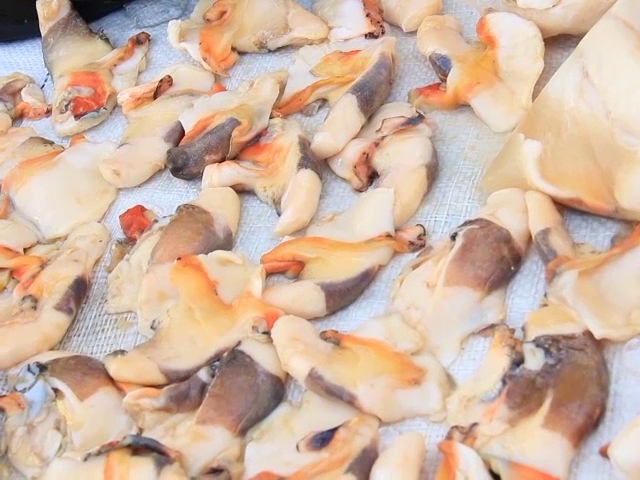 But like weh I seh, conchs in the reef, we have conchs. But the rules and regulations, like the three ounce conchs noh, because we have the thin shell weh got the size, but sometimes ih noh got the weight. 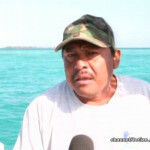 Nicholas Poot, originally from Belize City, has been fishing and diving these waters since boyhood. 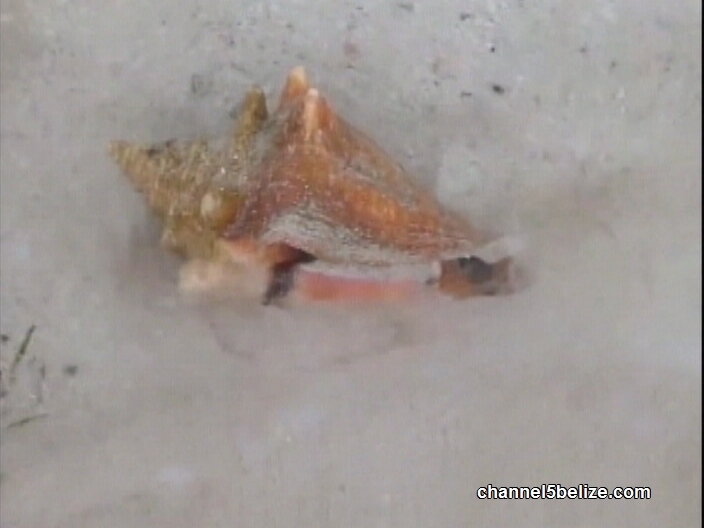 Conch is most indigenous to the Bahamas, where very recently there have been renewed calls for its protection. 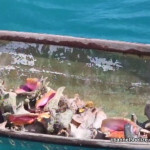 Environmentalists are clamouring for measures to be implemented, including banning the exportation of conch meat and increasing efforts to address the plague of poaching. 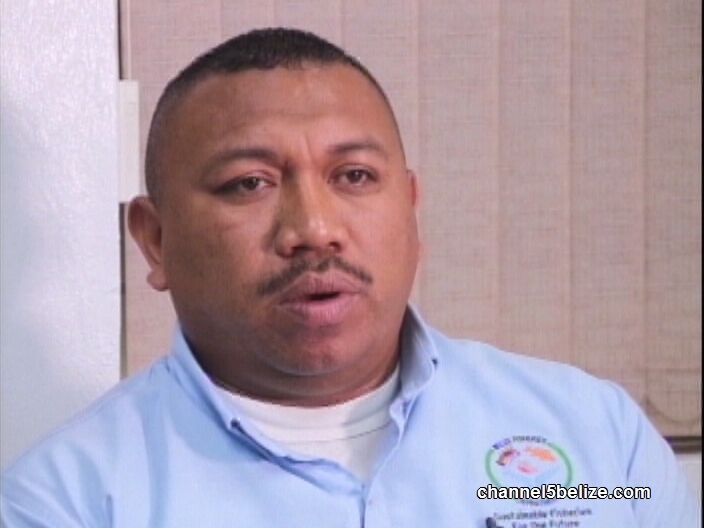 Belize is facing a similar issue, however, it is not yet at a crisis level. Lighthouse Reef Atoll is the easternmost part of the Belize Barrier Reef and is described as one of the best developed and healthiest reefs in the region. 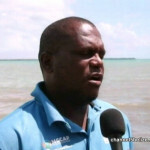 Using a system known as Managed Access, it is fished by fishermen from Chunox, Copper Bank and Sarteneja. 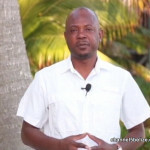 Lighthouse Reef is co-managed by the Belize Audubon Society. Under Managed Access, catch is limited through areas established by government using minimum shell size. 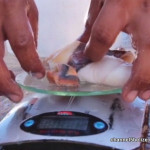 As a result, quite a number of juvenile conchs are being harvested across the respective zones. 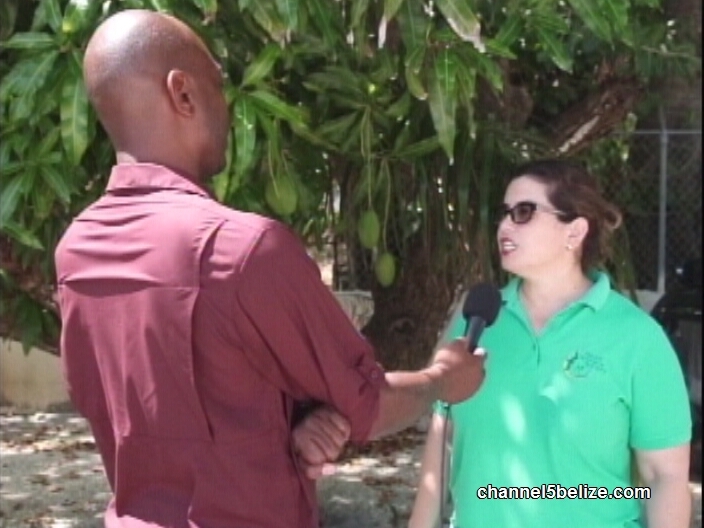 In Belize, shell length and meat mass minimums are amongst the smallest in the region. 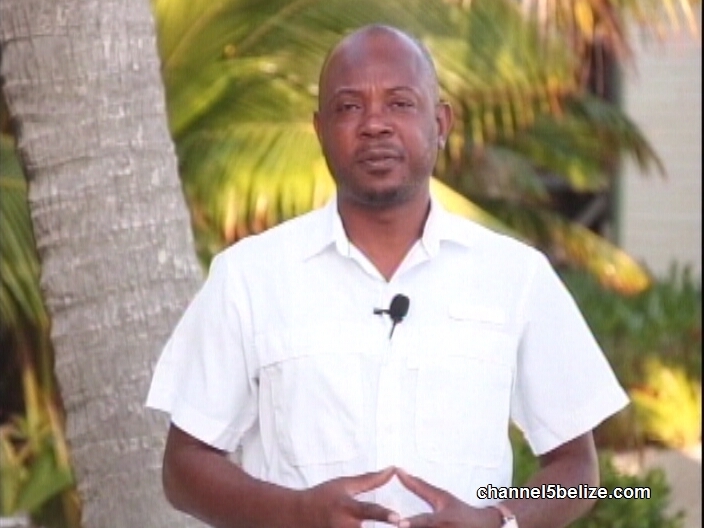 So as to harmonize what is gathered as harvest, short-term measures have been put in place. 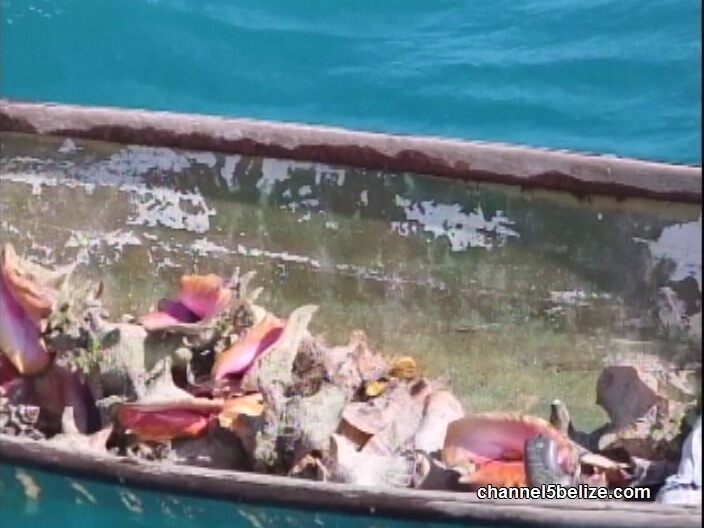 Despite these measures being implemented, the queen conch remains under threat. 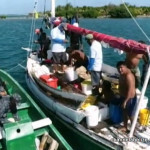 Historical overfishing by both commercial and extensive artisanal fisheries has led to the depletion of stocks and high quantities of legal catches mostly of juveniles. 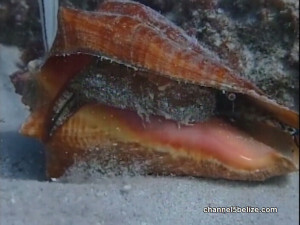 It is difficult to imagine Belize without the queen conch. 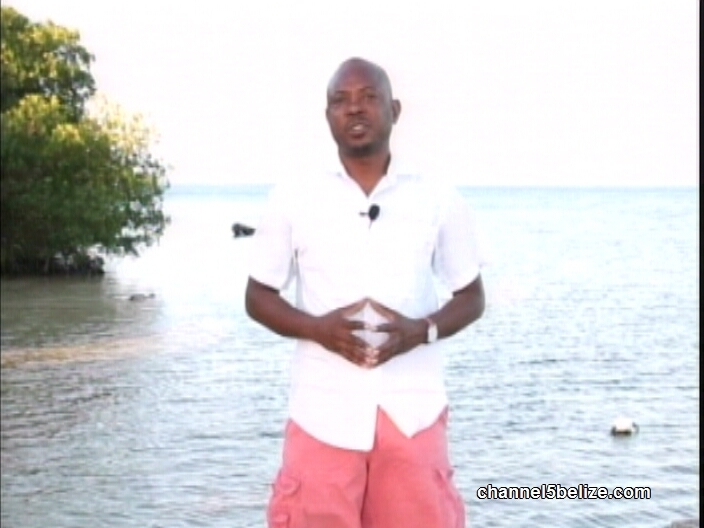 But that threat is real because the conch population is under pressure due to over fishing. Elsewhere in the Caribbean, the situation is dire; Belize exports more than seven million dollars of conch yearly and the livelihood of hundreds of fishermen depend on this. 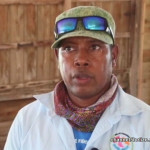 Now, Area Three of the Fisheries Map of southern Belize, is of particular concern, the area is vast and the queen conch is abundant but monitoring is difficult. 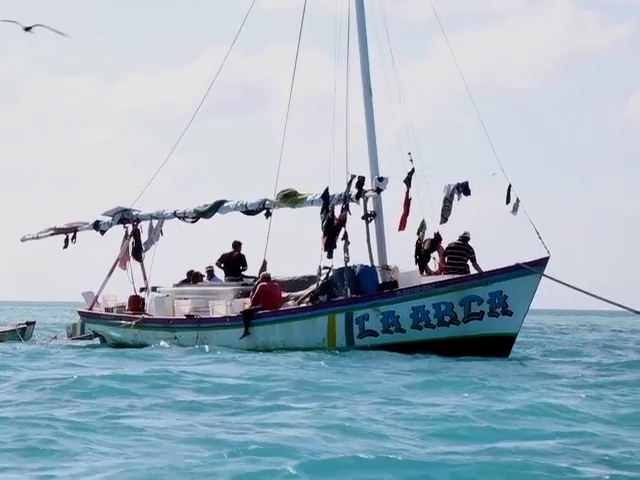 In part two of our story on the conch fishery, Isani Cayetano reports on the challenges faced by the Fisheries Department and other agencies while patrolling the waters of Glovers Reef. 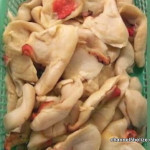 The Trade Database for the Convention on International Trade in Endangered Species (CITES) indicates that between 2008 and 2017, approximately 6.2 million pounds of conch meat were harvested for commercial purposes, a majority exported to the United States. Commercial exploitation of conch in Belize began in the early 1960s. 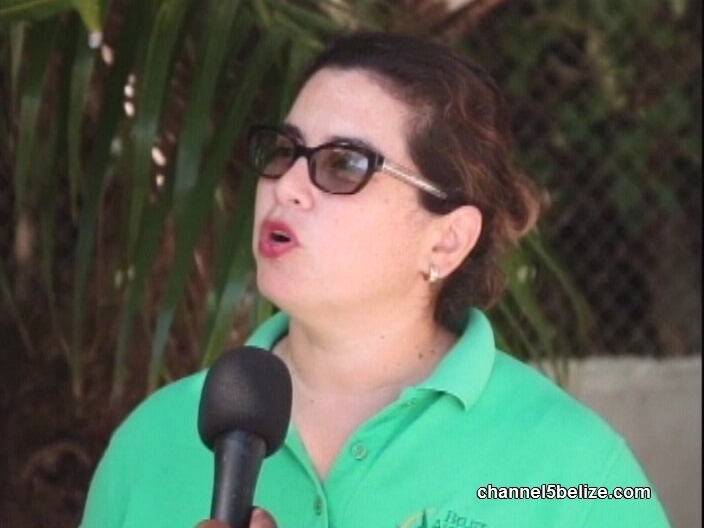 It has since grown to become one of the country’s largest overall exports. 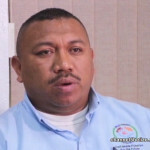 According to the Statistical Institute of Belize, in 2017, it was worth 7.3 million Belize dollars. Undoubtedly, high demand for produce puts tremendous pressure on certain areas where there is limited enforcement, particularly in Area Three on the Fisheries Map. With almost three thousand fishermen operating across all eight areas identified on this map, it’s easy to see how most of them would attempt to swarm the locations where conch are abundant. 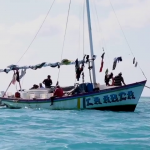 It is a conversation that needs to be held urgently, in light of what has taken place in the Bahamas and Jamaica where conch seasons have come to an abrupt end due to overfishing. In Jamaica, a ban on conch is set to go beyond March 2020. 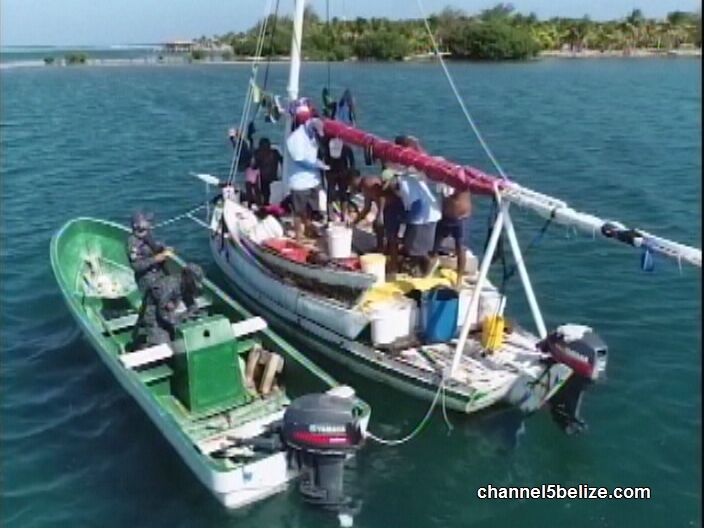 An analysis of data on the conch population off its coast suggests that the prohibition on the fishing, sale and export of queen conch will be stretched beyond the one-year timetable announced by government. 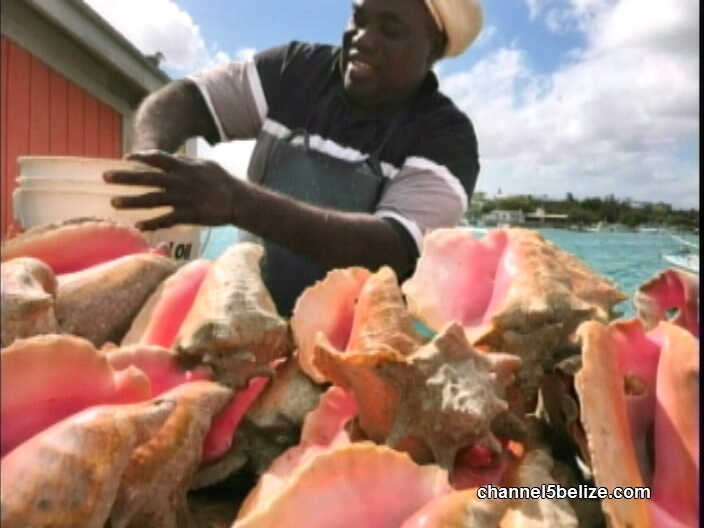 It could take years before the conch stock is replenished to commercially viable levels. In Belize, the writings are on the wall for Area Three. And that is what brings this team of fisheries and coast guard officers together. With only eighty-five gallons of fuel at their disposal, these men are tasked with patrolling a vast expanse of sea space within a two-week period, using a relatively small, single-engine fiberglass launch. 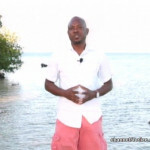 It’s next to impossible to provide complete coverage of the waters surrounding Glover’s Reef. While Harris is not able to speak on his professional observations, what is apparent is that the department is severely under-resourced. 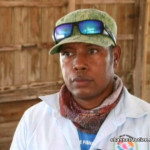 It only becomes evident when his patrol encountered seasoned fisherman Leobihildo Tamai who has been fishing here for the past thirty-three years. 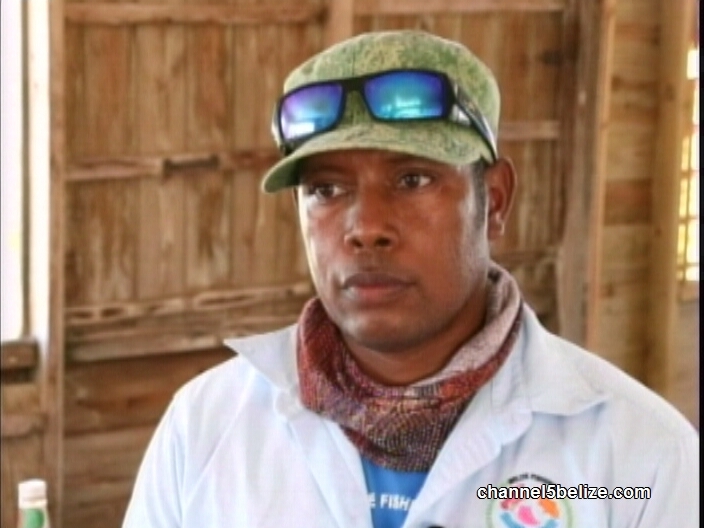 He received an earful for failing to patrol certain areas of the reserve where it is believed that illegal harvesting was taking place earlier in the day. 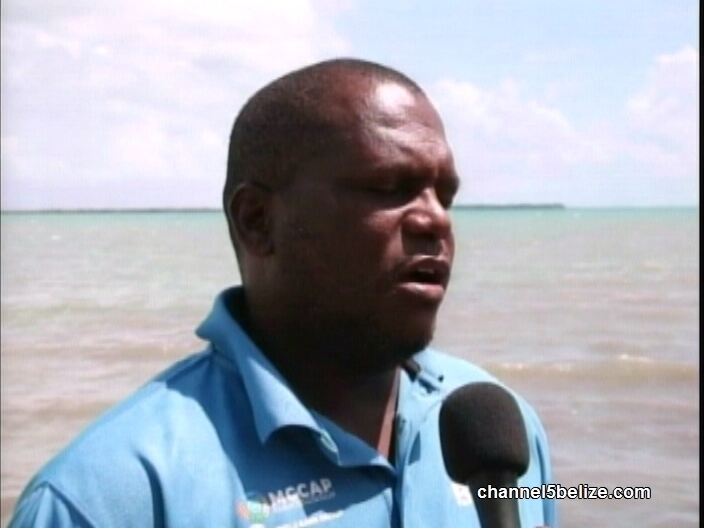 The Belize Fisheries Department hereby informs all fishers, and the Public, that in accordance with Statutory Instrument No. 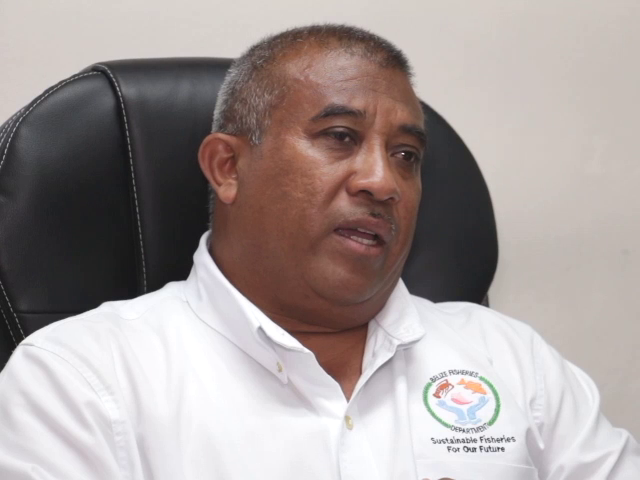 54 of 2012, the Honorable Omar Figueroa, Minister of Agriculture, Fisheries, Forestry, the Environment and Sustainable Development will declare the Queen Conch (Strombus gigas) fishery closed on April 30th, 2019. This is necessary due to the realization of the Queen Conch quota. 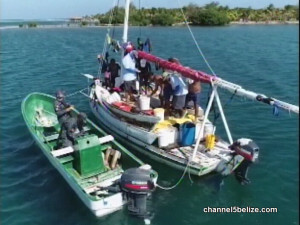 The fishing community is advised that all Queen Conch fishing activities shall cease as of this date until the opening of the fishing season on 1st October, 2019. 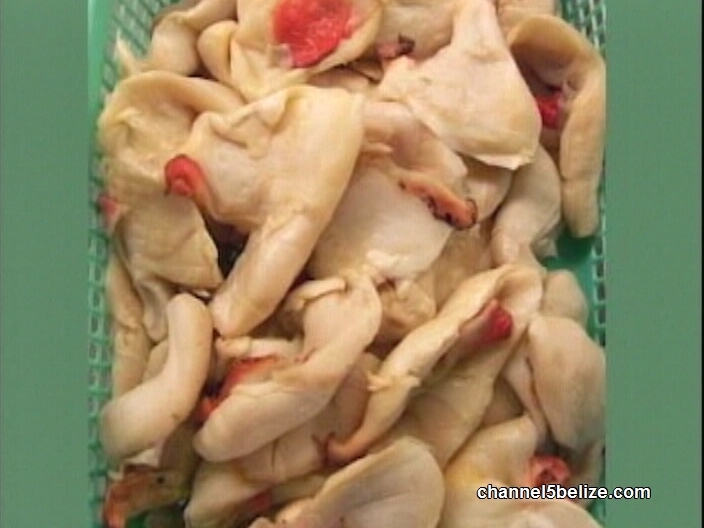 The Belize Fisheries Department further advises Restaurateurs and the Public to use, consume and dispose of all Queen Conch meat in their possession on or before April 30th, 2019. 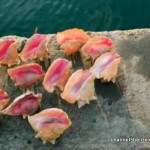 Any person or establishment found in possession of the Queen Conch meat after April 30th, 2019 will be charged and prosecuted in a Court of Law in accordance with the Fisheries Regulations. The Fisheries Department encourages the Public to report any illegal fisheries activity by calling telephone numbers: 224-4552 or 223-2623. One of the concerns that have been raised about the harvesting of the queen conch is the use of the shell size to determine maturity. 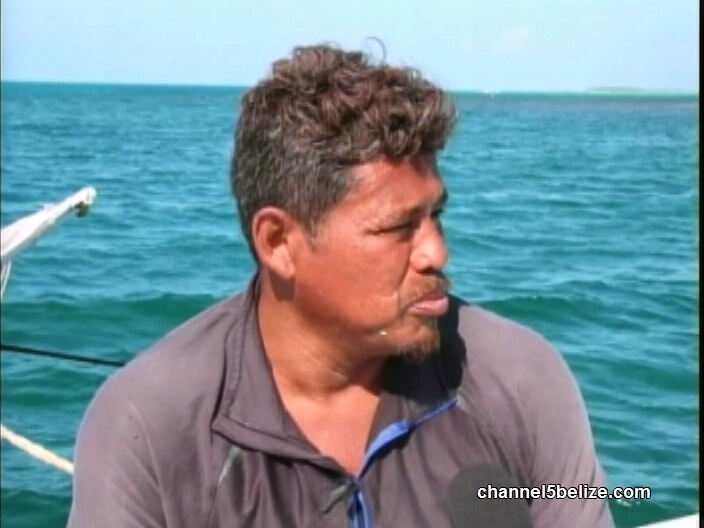 The Fisheries Department says that while some believe that lip thickness may be a better way to indicate maturity, the method used in Belize is considered sustainable because the conch that is harvested are sub-adult conch. 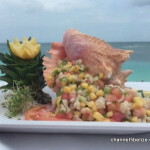 If you like conch fritters, conch soup or conch ceviche, you may want to enjoy these dishes before the end of this month. That is because the conch season is closing two months early. 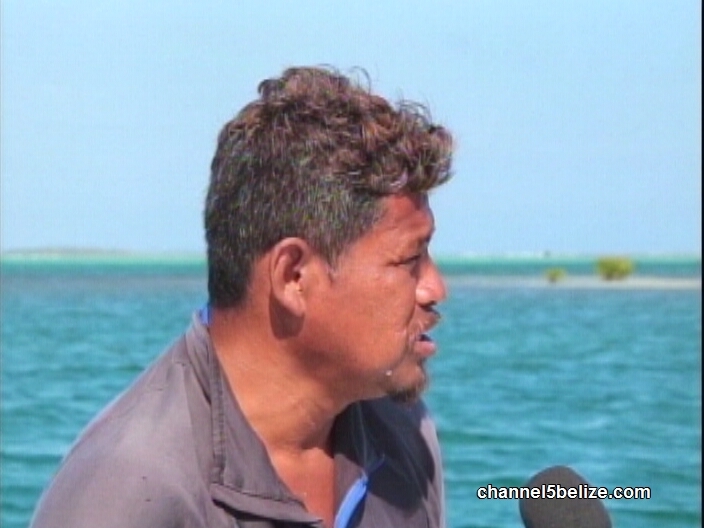 The Belize Fisheries Department says that this is because the quota for the queen conch fishery has been met. So, what does this mean for fishers and consumers? 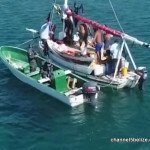 Well as of May first, all conch fishery activities must stop and you should not have or consume the conch meat. 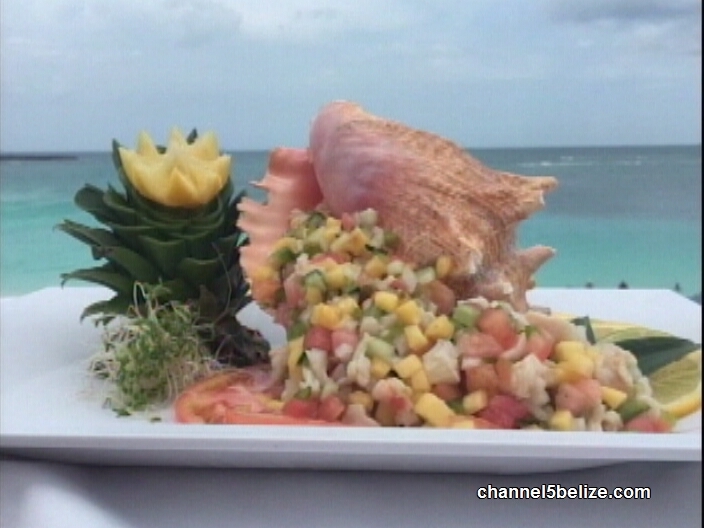 Restaurants and consumers are advised to use, consume or dispose of all queen conch meat before April thirtieth or face fines and court action. 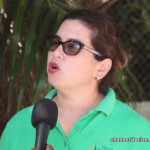 Reporter Andrea Polanco spoke with the Fisheries Department today to find out what this closure means for the industry. 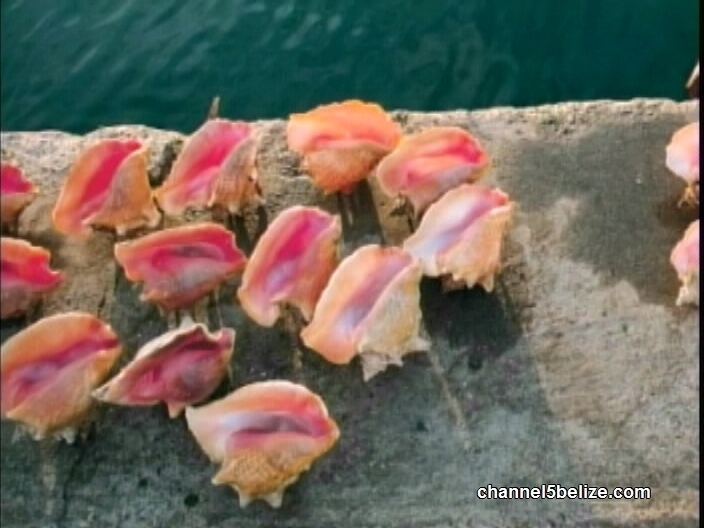 Belize’s conch season will close two months early. 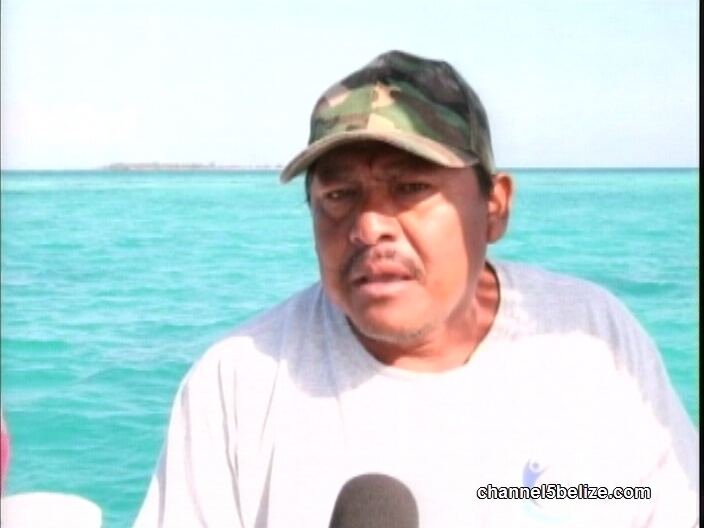 The queen conch fishery normally closes on June and reopens October first but the Fisheries Department says that this year the season will close on April thirtieth because quotas have been met. 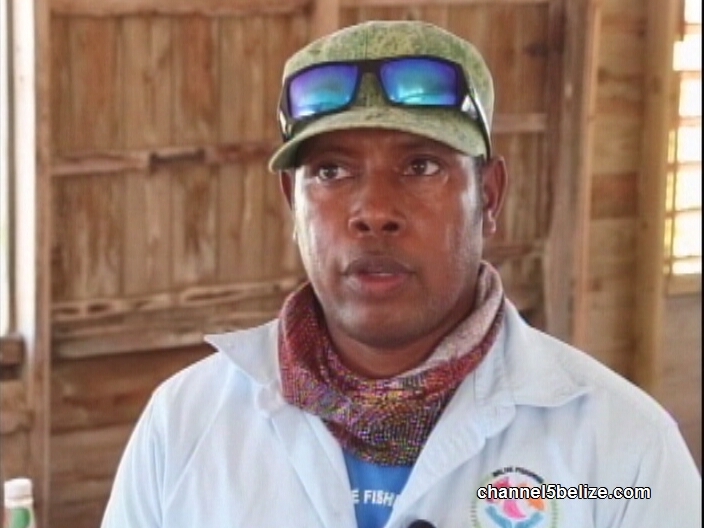 Fisheries Officer Mauro Gongora says that there is no reason for concern and that this early closure also spells good news for when the season reopens. 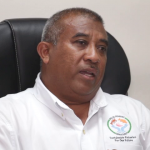 Gongora says that every two years a national underwater survey is carried out to gather conch density and abundance, which they combine with other data to determine the total allowable catch limit of the conch fishery. 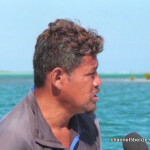 He explains why the quota of about seven hundred and fifty thousand pounds of queen conch (meat) was met early. 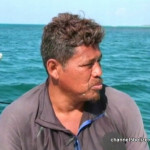 Gongora says that while they are not very concerned about over-fishing, the illegal fishing is still a growing problem. 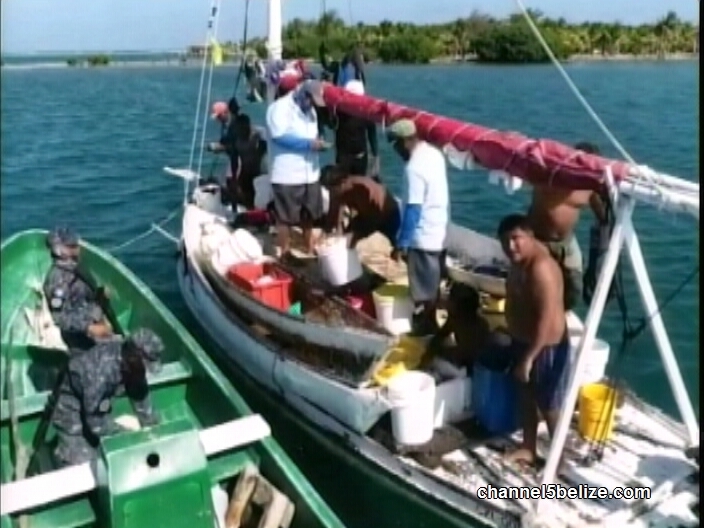 The Belize Fisheries Department maintains that the conch fishery is being managed in a sustainable way.